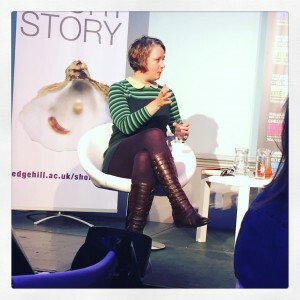 We sponsored a workshop for young people at this year’s Cheltenham Literature Festival, and you can read more about it, along with our top tips for writing for children, in an earlier blog post. But what about the rest of the festival? 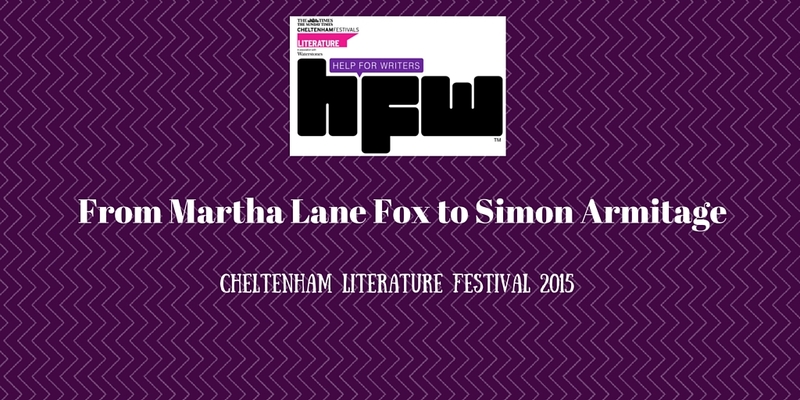 My first event at Cheltenham Literature Festival 2015 was Martha Lane Fox on technology. She came across as humble and energetic, with a powerful vision of the transformative power of giving people access to technology. In the Q and A, one audience member raised the issue of changes in literature and the impact of technology on ‘traditional’ printed books and magazines. 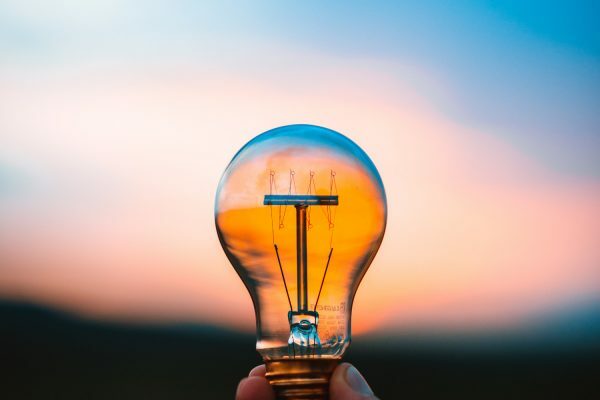 Lane Fox urged listeners to be bold about inventing new business models, making a comparison with the music industry where content can be distributed more widely than ever and there is a renewed focus on the live experience. It’s nice to hear affirmation from high places that we’re on the right track, as we are definitely a champion of new business models when it comes to using technology to sell your books! 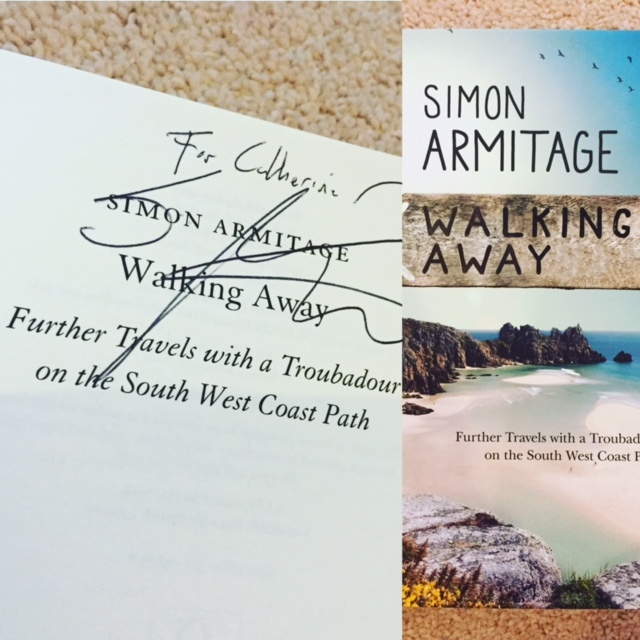 Simon Armitage was probably the most contrasting event I could have booked onto next at Cheltenham Literature Festival. He seems like the Daddy of contemporary poetry to me – someone who you don’t quite believe exists! 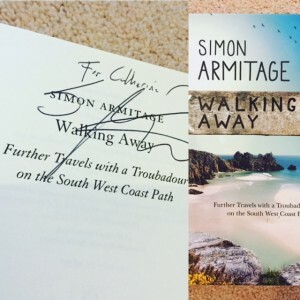 I loved hearing about his latest book, Walking Away, which is about the time he spent walking along the South West Coast Path. I particularly remember the lists he read out – the first of adjectives describing the colour of the sand, and the second of the objects he found in the sock passed round nightly for donations after he had given a reading. I like his dry Yorkshire sense of humour. Fangirl that I am, I just had to get a copy of his book signed, and I can’t wait to read it! Barrington Stoke’s event on removing the barriers to reading was different again. It was aimed at people with children who are reluctant readers, either because they struggle with reading or just because they don’t enjoy it. 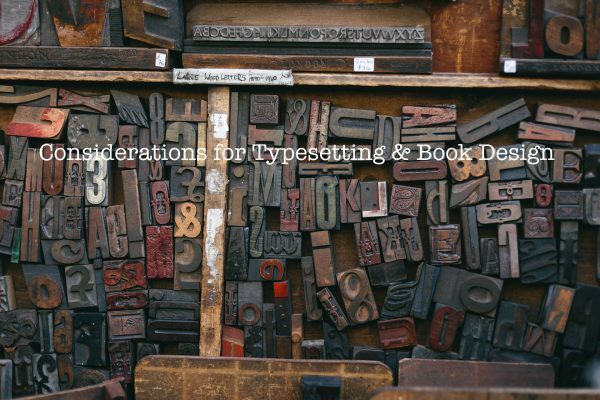 It’s been a long time since I read anything aimed at primary school children, and looking at the simple but effective ways of making reading easier for them – like not using wacky typefaces and weird illustration positions – was quite an eye-opener. Reading has brought me so much happiness over the years that I want to see that opened up to as many children as possible. Claire Fuller talks about her debut novel ‘Our Endless Numbered Days’. The session on creating an atmosphere, featuring debut authors Claire Fuller (Our Endless Numbered Days) and Sarah Leipciger (The Mountain Can Wait) was sheer self-indulgence. 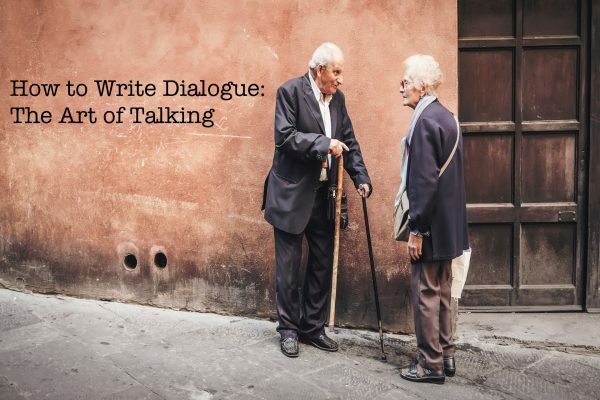 There weren’t any take-home ‘how to’ nuggets; the event was more about hearing them discuss with host Carys Bray the role played by place in their novels. As always, the readings were the best bit, evoking the atmosphere of the Black Forest and northern Canada respectively. Alexander McCall Smith talks about W. H. Auden. 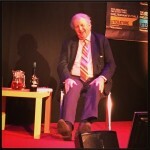 On a historical note, I then went to listen to Alexander McCall Smith talking about W. H. Auden. I have to admit it’s been a long time since I’ve read any Auden so I thought this might go over my head, but he succeeded in bringing Auden’s work to life remarkably, and his enthusiasm was infectious. I especially liked the way he wrote Auden’s literary executor, Edward Mendelson, into one of his books on his request! 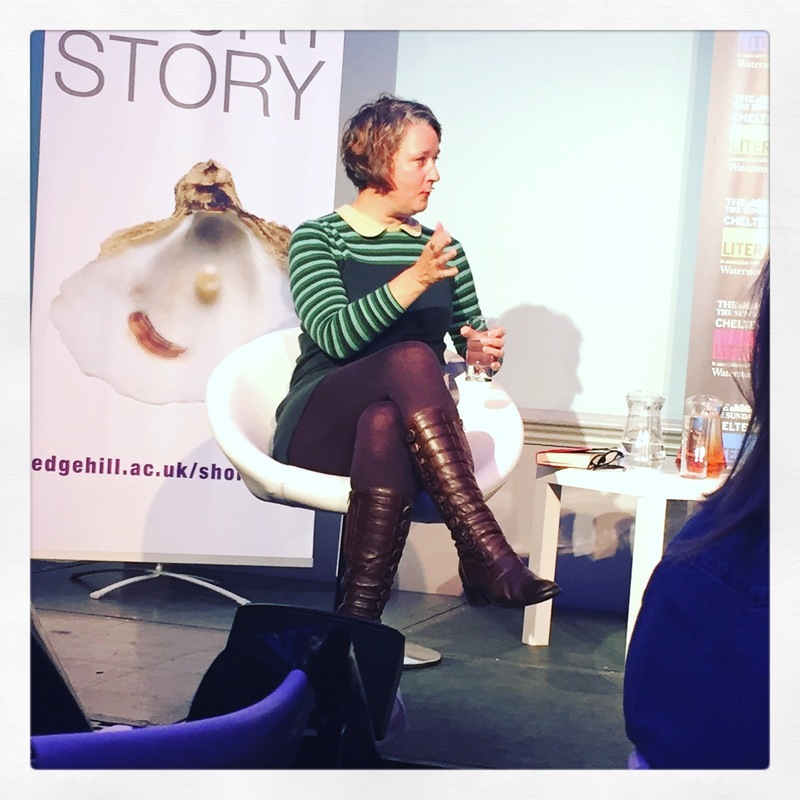 After hearing from – and about – the great and the good, it brought the Cheltenham Literature Festival to a nice close to attend the Gloucestershire Writers’ Network and hear the poets and short story writers who had been selected for their anthology reading their work aloud. All of them are good and maybe some of them will go down in history as great!